In this tutorial I will starting one service using systemctl , python and systemd. First, you need to create a file named testpython.service . This file is a configuration file for this service. Create the python file for this service. I named test_service.py . 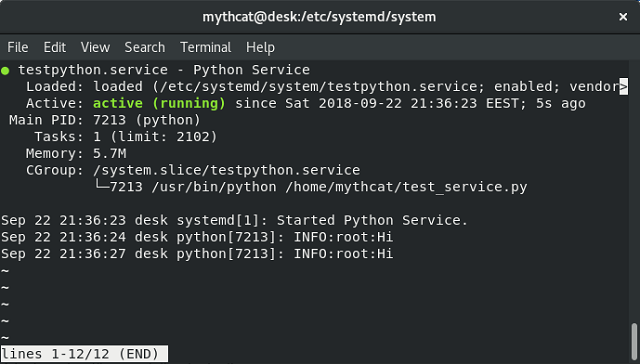 Sep 22 21:36:23 desk systemd: Started Python Service.